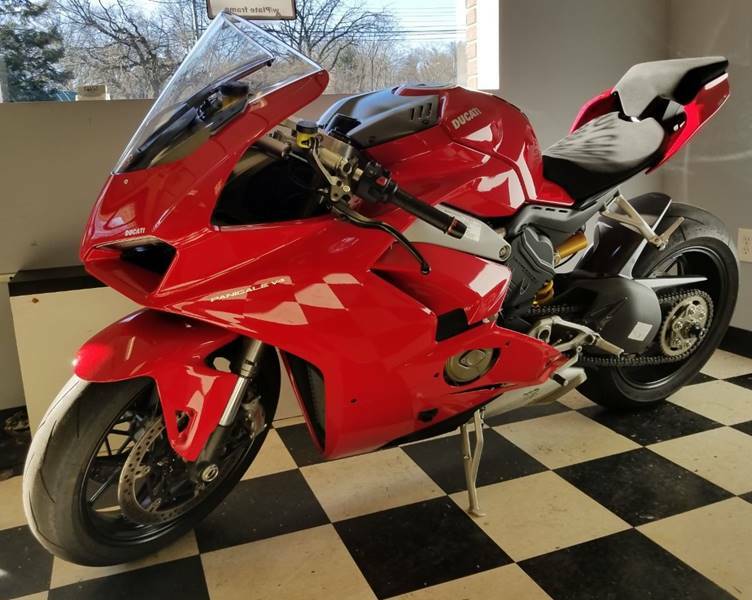 Could you provide more information about this 2018 Ducati Panigale? 1 Owner, Dry Carbon Package, 214 hp, Eliminator w/blinkers, mirror block off w/blinkers. Factory Warranty, too. Financing available. Call Derek, 908.858.0915, to discuss. What is the price of the 2018 Ducati Panigale you have in your inventory? What is the mileage of the 2018 Ducati Panigale you have in your inventory? I was wondering if this 2018 Ducati Panigale is still available?